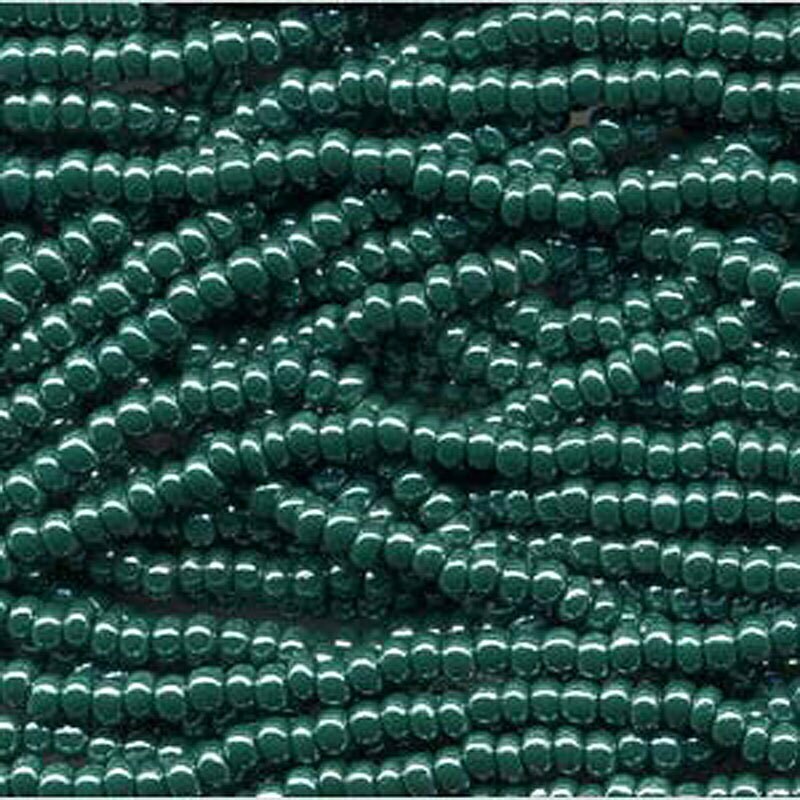 Dark green opaque luster size 8/0 Czech glass seed beads. Size 8/0 beads measure about 3.1mm; there are about 38 grams of beads on this 6 string half hank, about 13.5 beads per inch....that's around 1,600 beads! Plenty of beads for your beading, looming, kumihimo, knitting, crochet, fiber arts projects! Quick shipping by merchant. Quality beads. I recommend this shop. Beautiful color indeed. Rich green that will be incorporated into my bead loom projects. Great price with fast delivery.